Pantone GoeSticks: What Are They And How Can They Be Most Effectively Used By Designers? 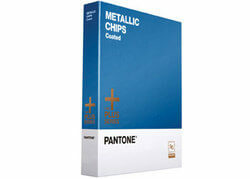 Pantone GoeSticks are part of the new Pantone Goe System range, which was introduced by Pantone in September 2007. In line with many of the other popular Pantone products on the market, GoeSticks can be purchased as required on a coated or uncoated background. The traditional Pantone colour matching products are presented in fanlike arrangements, detailing a certain colour together with its range of shades in rectangular components of the fan structure. This has the advantage of presenting large amounts of information in a convenient, transportable bundle which has made it a valuable tool amongst, in particular, interior designers. By contrast, Pantone GoeSticks are adhesively backed samples which are presented in smart, professional looking sets of binders. There are 6 different samples of each colour (described by the manufacturer as being ‘stamp-like’) and also non-stick ‘palate playgrounds’. A good interior designer will make full use of this by trying out different contrasts with potential customers on the playgrounds. At the end of the presentation, a palate card can be left for the customer to consider. Pantone also sells individual replacement pages so that the folders can be kept full and to ensure wastage is kept to a minimum. The original binder sets – with about 30 palate cards and 2 palette playgrounds – generally retail for in the region of £300 but can often act as an extra piece of persuasion or reminder for an indecisive customer.